I know Alvin and his cousins visit our garden and backyard quite often. However, since Chaka is not very fond of them, they don't hang around in our backyard or garden very frequently. They come and they leave immediately, after grabbing whatever it is that they came for. This photo was taken on July 4, 2014. 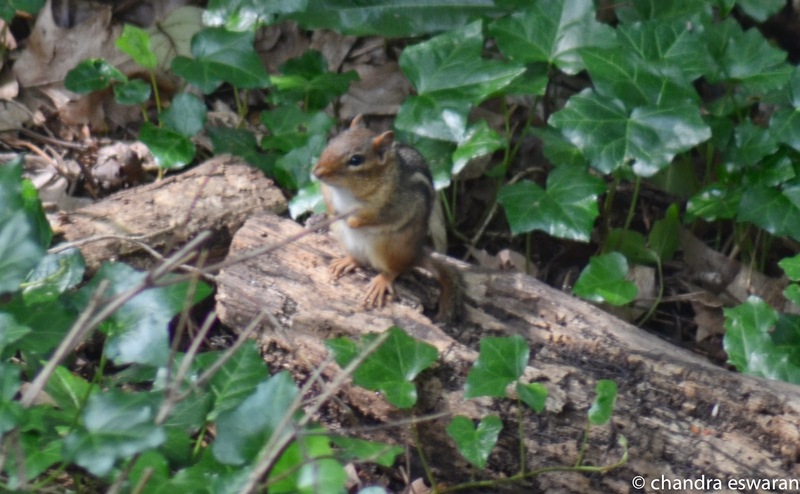 I managed to take a quick picture of Alvin, when he stayed put for more than a second, without hiding behind leaves. I know they eat my bird seeds and such. But, I still love these guys. Especially now that I have figured out how to protect the safflower seeds from Alvin & Co.